There are books that you will come across and you just can't keep them to yourself because its contents are just so powerful. One of those books is called Supernatural Childbirth by Jackie Mize. This is a book I strongly recommend everyone both male and female to get. 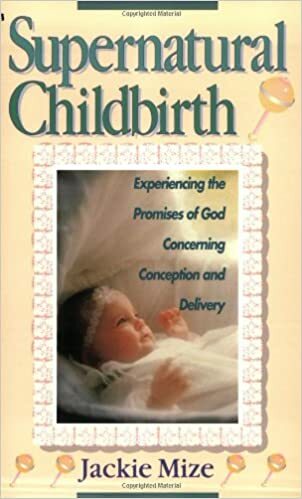 It is a book one need to read before, during and after pregnancy...a very powerful book at a reasonable price. amazed that such a book exist. Please do get a hold of this book or better still, do gift someone this book and I can assure you that the person will forever thank you.